As I’m sure a lot of readers here already know, Computex 2012 is going on right now in Taipei, Taiwan. 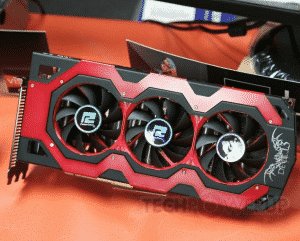 Just like CES, which Overclockers.com attended, is a showcase for all kinds of technology manufacturers to show off their new wares. Sadly, we do not have a physical presence at this year’s show, but that certainly doesn’t stop the emails coming in or us looking around the web to see what cool products are coming out. So enough rambling, let’s see some of the products! 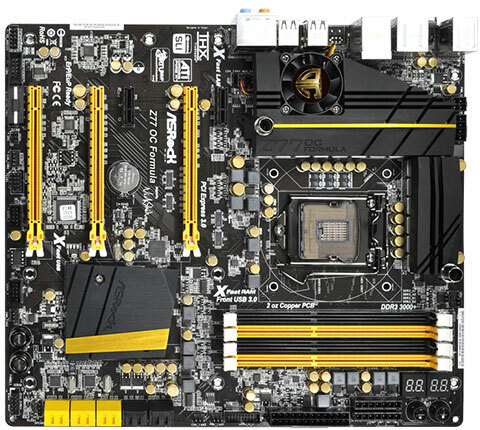 ASRock has been getting a lot of attention lately from members, especially from their Z77 motherboard lineup. 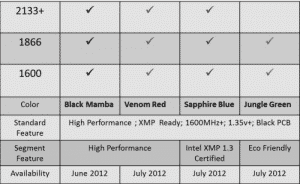 After their separation with ASUS, we are left with a quality product without a premium price. 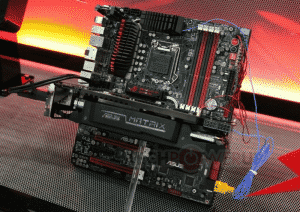 To that end, ASRock has shown off a few new Intel motherboards there such as the Z77 Extreme6/TB4, 77 Extreme9, and the one that may be of particular interest to our benchmarking team or other enthusiasts, the ASRock Z77 OC Formula (pictured below). 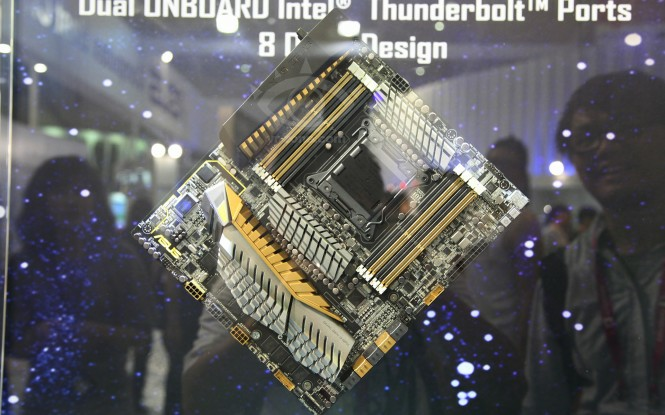 This motherboard was designed by a world famous overclocker, Nick Shih. As you can see the VRM area is cooled by a monster heatsink that also has ports for water cooling. Another area of interest that I would love to hear more about is the dual LED post code/debug displays as well as having + or – button adjustments on the motherboard. Looks like this could be a monster! 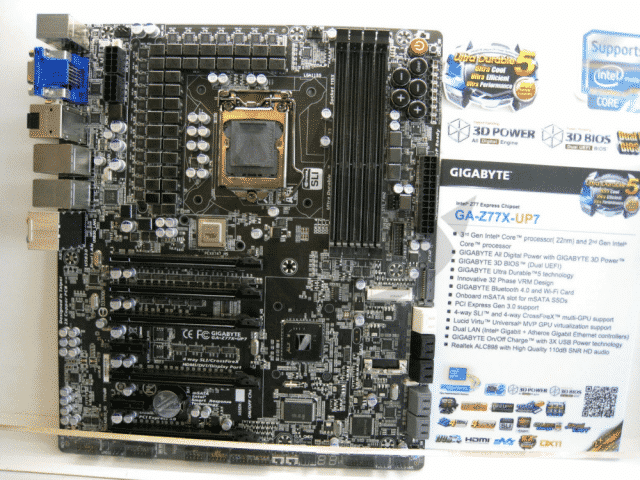 GIGABYTE is another popular manufacturer of motherboards for both Intel and AMD. 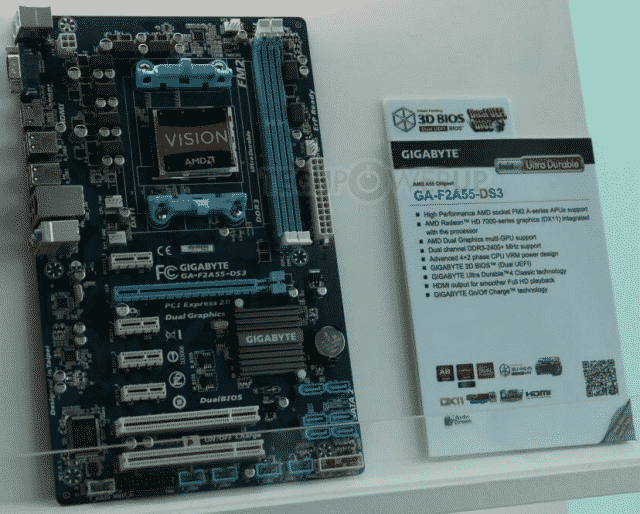 Among other items they have displayed, something we thought our readers would like are the first FM2 based motherboards based on the new AMD A85 FCH chipset. 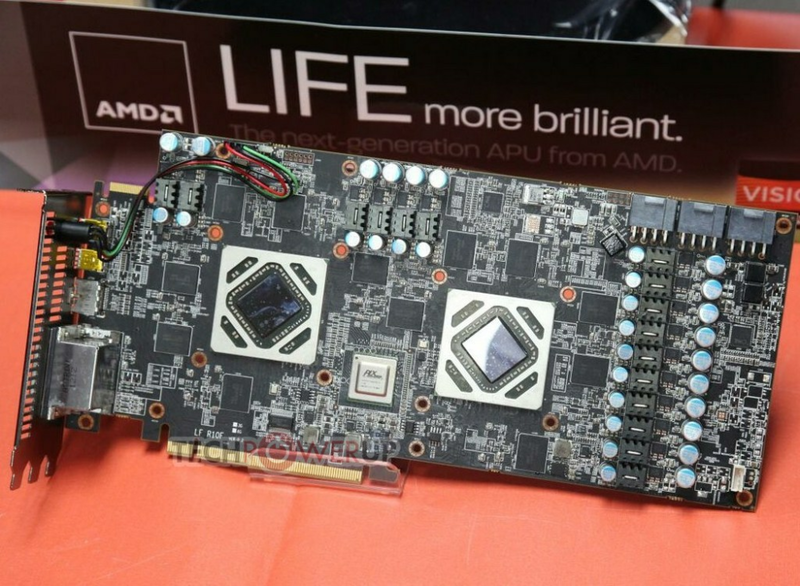 Some AMD users know the previous generations A55 FCH chipset which both support the next generation ‘Trinity’ based APU’s. 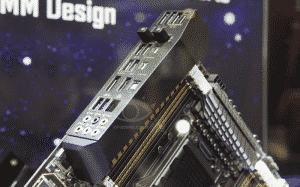 There are at least three models, the high end F2A85X-UP4 sporting a beefy VRM area and power components (8 phase VRM) along with your typical array of features (SATA3, USB3, etc). 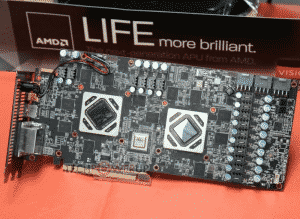 Next is the F2A55-DS3 which is a slim ATX board. It has less power phases than the F2A85X-UP4, 2 DIMM slots, and one PCIe slot. The last FM2 based board we will mention is rounds out the bottom of this lineup. 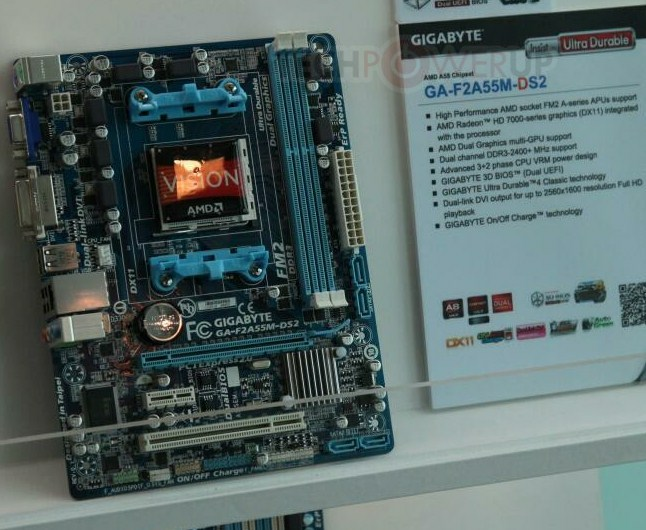 It is a mATX form factor board based off the A55 FCH chipset. All of the basics are there, just some of the bells and whistles may not be. To tickle the Intel crowd, GIGABYTE is showing off their flagship Z77 based motherboard, the Z77X UP7. The main feature on this unit is the massive 32 phase VRM section using new International Rectifier IR3550 VRMs (smaller size, more efficient and cheaper than previous VRM’s). 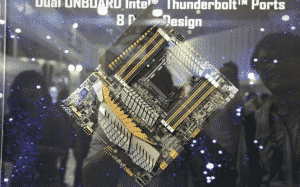 This is also one of the first boards sporting their Ultra Durable 5 technology. You can also see an integrated mSATA port, as well as your other typical goodies one would expect from a high-end board like Bluetooth, LucidMVP, and dual LAN ports. ASUS also has a booth to show of its new wares at Computex as well, some of their offerings you may (or may not) be interested like the ASUS Zeus motherboard. This little engine that could packs an X79 based board along with two, yes TWO, GPUs built in to the expansion slot (think PCIe) area. The thinking is that there are 2 Tahiti XT based (7970) GPU’s hiding under that heatsink. Each GPU appears to have its own set of memory and you can also see an 8+6pin configuration for each one. I’m not quite sure who this is marketed towards but sure looks like it has potential with all that horsepower of the X79 platform and two 7970’s(unconfirmed). (Images above Courtesy of Vr-zone.com). 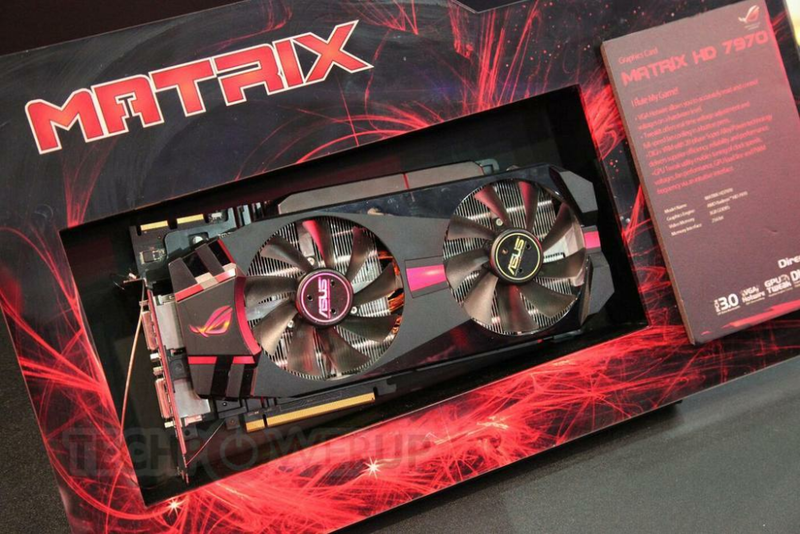 Next up from ASUS is what I am sure our benchmarking team will be salivating over… a ROG Matrix 7970. There is no mention of clockspeeds so far, however we do know it should contain a 20 phase digi+ VRM as well as the usual software (GPUTweak) to adjust voltages and clockspeeds. It looks to have a Direct CU II cooler on it as well as in past Matrix versions along with one button fan control and hardware based voltage tweaks. Would anyone care to take a guess at what board its sitting on? 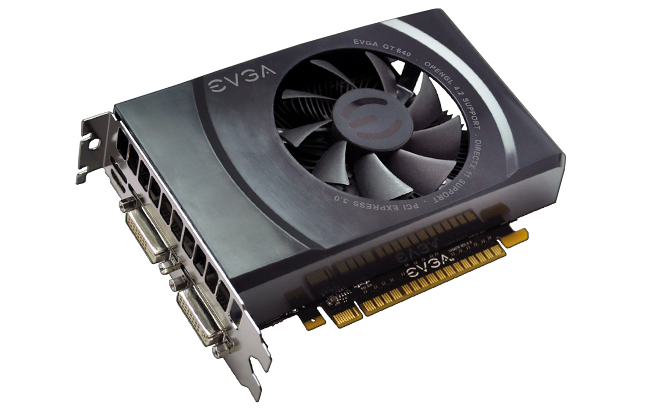 Evga has announced one of the first entry level gaming videocards from Nvidia, the GT640. 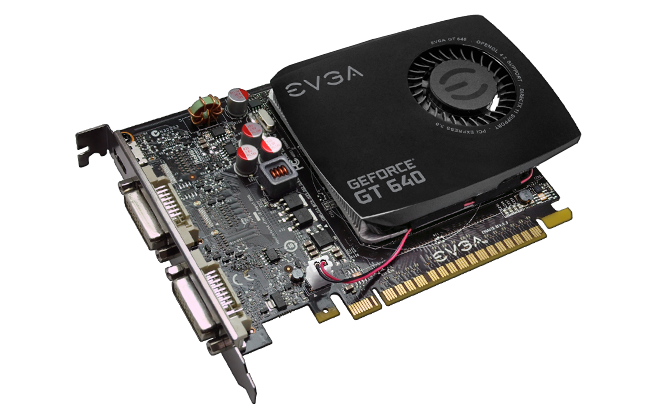 Right out of the gate EVGA is offering this card in two flavors, a single slot, and dual slot version. You can see more detailed specs below but it comes in with 384 CUDA cores, 901 Mhz core clock, and 2GB of DDR3 vram clocked at 1782Mhz. 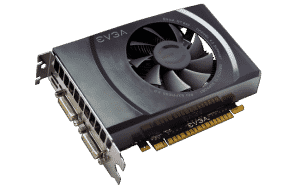 These are actually available now at the EVGA website, both for $109.00 each. Pricing puts it around AMD 7770/7750 levels, so it will be interesting to see how those cards compare against each other. PowerColor has brought to the table a dual GPU 7970 dubbed the PowerColor HD7970 X2 Devil 13 (according to techpowerup.com – image credits to them as well). Looking at the pictures, not only is it a technical marvel, its a physical marvel too with the PCB appearing to be longer than a reference 7970. 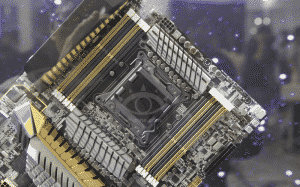 You can count 24 memory IC’s, see the PLX chip, and what appears to be a 5+2+1 VRM configuration for each GPU. 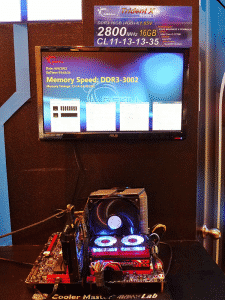 Patriot Memory also has a presence at Computex 2012. We have a press release from them regarding their new line of DDR3 memory, The Viper3. This line will come in 4 colors/tiers. Black Mamba, Venom Red, Sapphire Blue, and Jungle Green with speeds ranging from 1600Mhz to 2133Mhz and voltages starting at 1.35v. 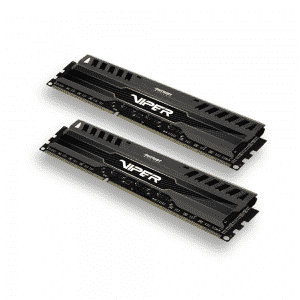 Other options include 4 or 8GB DIMMS and dual/quad channel kits. G.SKILL debuts the largest memory computer system at Computex 2012. 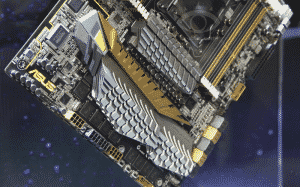 It “runs a total of 96GB (8GBx 12) RipjawsZ DDR3 1600MHz kit on the latest EVGA SR-X motherboard”. G.SKILL also showed off “the fastest memory of G.SKILL’s TridentX which achieved the amazing speed over DDR3 3000MHz CL11 16GB (4GBx4) on both ASUS Z77 MAXIMUS V FORMULA and GIGABYTE Z77A-UD5 motherboards”. 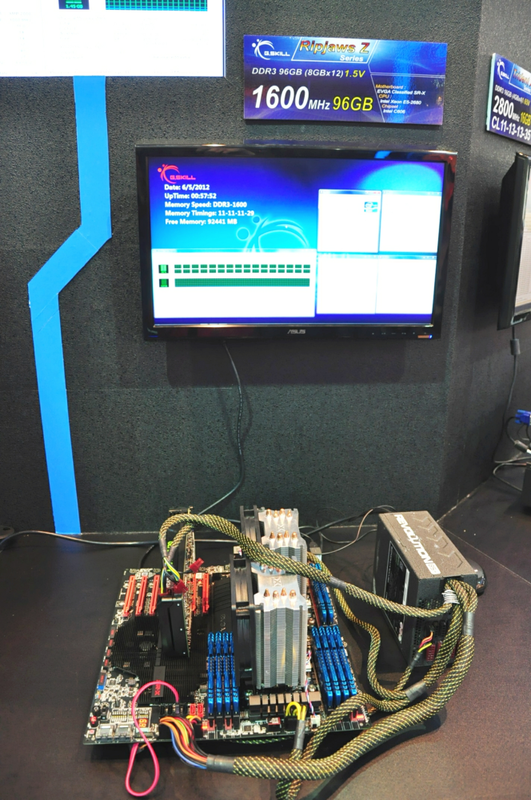 What you have seen here is just the tip of the iceberg that is Computex 2012. It looks like some very interesting products are coming down the pike from our favorite vendors. Keep a close eye out on the Front Page for potential reviews on some of the items listed. 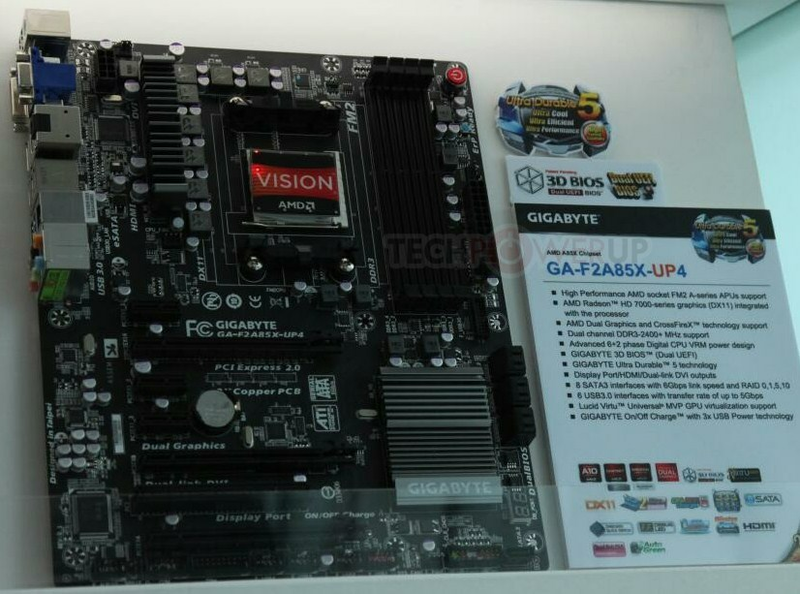 To tickle the Intel crowd, GIGABYTE is showing off their flagship Z77 based motherboard, the Z77X UP7. The main feature on this unit is the massive 32 phase VRM section using new International Rectifier IR3550 VRMs (smaller size, more efficient and cheaper than previous VRM’s). Any ideas when that z77x-up7 will be released? 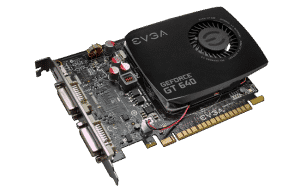 The evga section lists brand new single slot gt 240's btw ;) and the exciting dual slot 240, but other than that great write up, I like the look of the Zeus but those kind of boards never make it into production. No idea on the release of that Gigaboard. The Zeus board will probably not go to production. It is just too "closed". No expansion posibilities at all. Maybe for something like Alienware's slim PC.